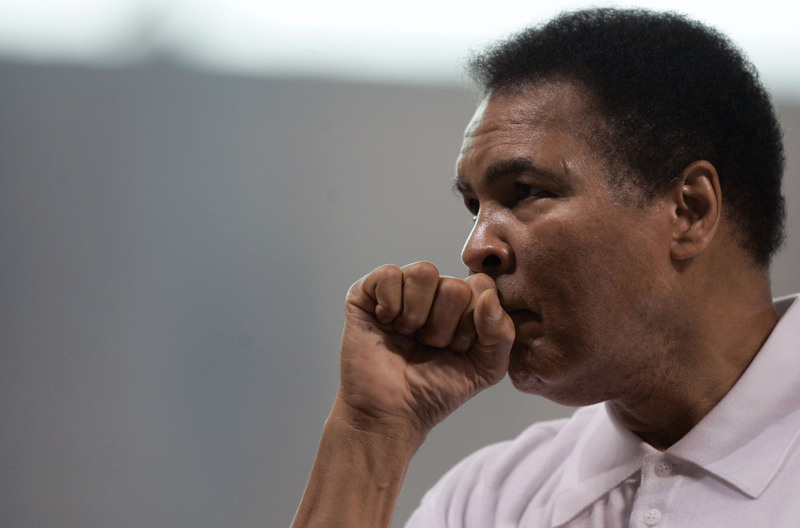 Muhammad Ali tragically passed away Friday at the age of 74 in Phoenix. Everything that can be said about the greatest of all time can't be said better than he said it himself — not only was he a fighter in the ring, but a poet, an activist, a civil rights leader, and a man who never failed to be unapologetic about his blackness at a time in our nation's history where it could have cost him his life. Ali was the subject of many documentaries, leading a revolutionary, inspiring, and controversial life. Ali said in his 2004 memoir The Soul Of A Butterfly, Reflection On A Life's Journey, that he wanted to be remembered as "a man who stood up for his beliefs no matter what. As a man who tried to unite all humankind through faith and love." He was not only a boxer that defied odds and reached mythic status, he was also a man strident in his Islamic faith, a protester of war, and a civil rights leader. His bravery was astounding, through his early life, his boxing career, and dealing with Parkinson's disease until his death. These documentaries about Ali show the facets of his life that might have been overshadowed by his athletic career: Ali as activist, poet, fighter, and family man. Watch them now to honor his memory. This documentary from director Bill Siegel examines the exiled years of Ali's life, when he was stripped of his title for refusing to join the draft and fight in the Vietnam War because of his religious beliefs, even after his appeal to be a conscientious objector to the war was denied. The Trials Of Muhammad Ali focuses on this difficult, fraught and unjust period of Ali's life, beginning with his joining of the Nation of Islam. Ali refused to serve in Vietnam because of his faith, and because of the racial injustice rampant at home in America. As he says in a clip in the trailer: "I have two alternatives: to go to jail or go to the army. But there is a third alternative: justice." The film focuses on his religious, political, and humanitarian beliefs, all of which the legend always remained steadfast in. This Leon Gast-directed documentary was two decades in the making, but it was worth the wait — it won the 1996 Academy Award for Best Documentary Feature. When We Were Kings captures the story of the infamous "Rumble in the Jungle" in 1974, the fight between Ali and his opponent George Foreman in Zaire, perhaps the greatest fight of all time. But When We Were Kings also captures the electricity of Ali's self-pride, determination, vigor, and his self-love, all of which continue to inspire today. Gast edited down more than 400 hours of footage over 20 years of production from 1976 to the film's debut, and when accepting the award for Best Documentary Feature in 1996, both Ali and George Foreman joined Gast onstage. Critics regard When We Were Kings as the greatest boxing documentary of all time. Pete MacCormac provides a picture of Ali through the eyes of some of his most infamous opponents, who talk about the man who was as remarkable in the ring as he was outside of it. George Chuvalo, Sir Henry Cooper, George Foreman, "Smokin'" Joe Frazier, Larry Holmes (a former sparring partner of Ali), Ron Lyle, Ken Norton, Earnie Shavers, Leon Spinks, and Ernie Terrell appear in the film and talk about what it was like to be up against the ropes with the man himself. Available for purchase on iTunes. This documentary from filmmaker Clare Lewins uses personal audio diaries of the late legend spliced with archival footage and interviews from friends, family and fans to provide an intimate look at Ali at all stages in his life. Ali was undeniably a poet, and had one of the most formidable and awe-inspiring presences of any public figure, but this documentary provides an intimate look at Ali's life as a friend and father, including many poignant audio recordings between Ali and his daughter, Hana. Ali's brother, sons, daughters and ex-wife as well as Mike Tyson, singer Tom Jones, and photographer Carl Fischer (among others) are some of those that provide insight into Ali's life. A hybrid documentary/biopic, The Greatest is worth a watch because it stars Ali, playing himself. His undeniable charisma and strength are what make the film, following his life from the 1960 Olympics to the Rumble in the Jungle in 1974. Available for streaming on Crackle. This ESPN 30 For 30 short tells the story of an astounding moment in Ali’s later life: when he traveled to Iraq shortly before the Gulf War and negotiated with Saddam Hussein to release American hostages. Ali successfully brought fifteen hostages home safely to America, putting his own life at stake for their release. Operation Desert Storm began six weeks later. This short was directed by Amani Martin and narrated by singer John Legend. This Jimmy Jacobs-directed documentary was made during Ali's exile from boxing (for refusing to serve in Vietnam) and features footage of the boxer himself with legendary coach Cus D'Amato watching and analyzing fight footage, talking about how Ali might have matched up to champs like Joe Louis were he not banned from the boxing world. Available in full on Amazon Prime. Rest in power to the man who always floated like a butterfly and stung like a bee.